Goodreads: Megastar Jonny Valentine, eleven-year-old icon of bubblegum pop, knows that the fans don’t love him for who he is. The talented singer’s image, voice, and even hairdo have been relentlessly packaged—by his L.A. label and his hard-partying manager-mother, Jane—into bite-size pabulum. But within the marketing machine, somewhere, Jonny is still a vulnerable little boy, perplexed by his budding sexuality and his heartthrob status, dependent on Jane, and endlessly searching for his absent father in Internet fan sites, lonely emails, and the crowds of faceless fans. Kritters Thoughts: Call me a crazy teen pop fan, but I loved this book that is completely loosely based on the life of a teen pop star maybe like a certain Justin Bieber. As I grew up along side the likes of Britney Spears and Christina Aguilera, I may have a close affection for anything pop and teen! Jonathan Valentino or Jonny Valentine is a very very young 11 year old singing sensation who through YouTube has gotten a record deal and is in the middle of a tour across the U.S. The book takes you through the cities of his tour, along the road are quite a few antics with his momager, security, vocal coach, tutor and so many others that impact this teen heartthrob! 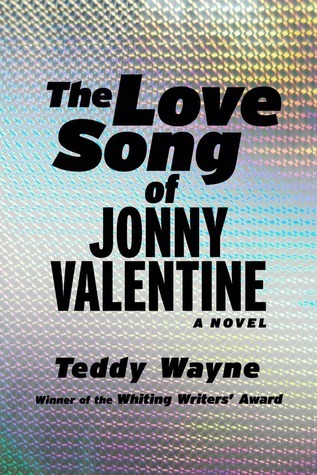 I loved how the story was organized with a day or two in a city and almost in a journal format with Jonny Valentine telling his own story of how the fame can affect a young male who isn't even a teenager yet. My favorite parts involved his momager and I just couldn't imagine having to work and live with my mom, (love you mom! ), but I was able to do school, have a job and friends without my mom involved during my teen years. Of course, I also loved the fictional glimpse behind the scenes of a tour and the PR and marketing behind making someone a star. With a few explicit moments, I would sensor this one from younger readers, but it is definitely a hilarious ride with a teen pop star on tour. If entertainment is your thing, then this book is definitely one to pick up! Disclosure of Material Connection: I received one copy of this book free of charge from Simon and Schuster. I was not required to write a positive review in exchange for receipt of the book; rather, the opinions expressed in this review are my own.